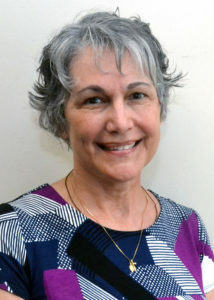 Sharon joined Penn Memory Center in 2018 as a Research Physician Assistant. Her primary duty is to assist the team of neurologists, geriatricians, neuropsychologists, and social workers to develop innovative approaches to the diagnosis and treatment of Alzheimer’s Disease. Sharon’s role is also to assist the Penn Memory Center physicians in the care of their patients, in the PMC clinic at the Perelman Center for Advanced Medicine. Sharon graduated with a Master’s Degree from the Physician Assistant Program at Drexel University in 2003. She has served as Academic Director and Full-time Faculty in PA Programs both here in Pennsylvania and in Florida. She trained in the specialty of Neurology with Abington Neurological Associates, and she assisted in the development of a novel Inpatient Teleneurology Program with faculty and the Senior Director of Neuroscience at Thomas Jefferson University.